CIWM is a new kid in town. It is the most recent facility organized in the Bureau of Corrections. It was only inaugurated in September 18, 2007, the second institution which branched out from the first and only penal establishment dedicated in rehabilitating female offenders. (The first, which was founded in 1932 is the Correctional Institution for Women situated in Mandaluyong City, Metro Manila). It was during the incumbency of Secretary of Justice Agnes VST Devanadera when it was formally opened. The process however was not that easy. As a matter of fact, it was protracted and almost about to be forgotten. It was in 2002 when the women sector of Mindanao headed by Soroptomist president Pat Garcia-Montemayor along with former Judge Thelma Avisado and Sister Jo Manahan who persevered to have a female correctional facility for Mindanao female offenders. They were disturbed by information that female offenders of Mindanao after the sentencing are brought to CIW Mandaluyong City would suffer alienation since they are far from their community of orientation. Visitation from their families took so much expense and efforts. Those who made it would eventually settle along the fringes of Metro Manila as informal settlers—-contributing to social problems even more. The Soroptomist and the Womenyt of Davao would subsequently form a solid alliance that would lobby for the establishment of a female corrective facility in Mindanao. The formal proposal was presented to then President Gloria Macapagal Arroyo during a regional cabinet meeting held at Tagum City in 2002. Part of the cabinet agenda was the establishment of a correctional facility in Mindanao. Then Secretary of Justice Hernando Perez directed then Director of Corrections Ricardo Macala to discuss in the cabinet conference the mechanics for the organization of a penal facility for women. Director Macala instructed then Davao Prison Superintendent Ven Jo Tesoro to discuss the concept. A small group discussion was held and Supt Tesoro outlined the idea. Thereafter, the cabinet adjourned and it would take another year before it would again resurface among the pending issues to be taken up. The proposal snagged when there was no site suggested for the purpose. The Tagum Agricultural Development Corporation, Inc. (Tadeco) of Floirendo and the Del Rosarios of Davao del Norte , prodded by Soroptomist leader Pat Montemayor pursued for the identification of an area within Davao Prison and Penal Farm as site for the women’s prison. The proposal went through the central office in charge of Davao Prison. Thereupon, then Director Vicente Vinarao ordered for a Bureau of Corrections committee to undertake the plan. Supt Tesoro who was already recalled in Muntinlupa was designated as chair. This was in 2006. An abandoned area in Davao Prison was identified and construction began in earnest. 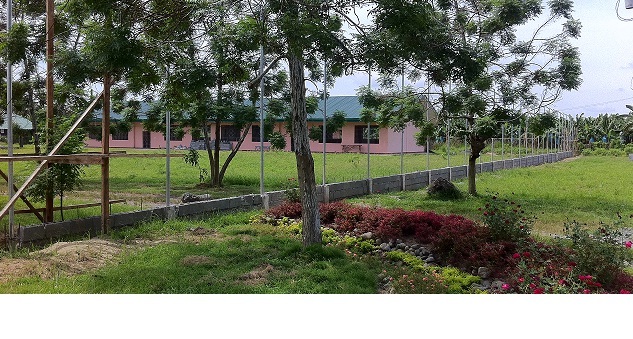 The facility took shape until the dormitories were renovated for occupancy. Supt Rachel Ruelo of CIW Mandaluyong went through her organizational connections and pursued the formal issuance of a Department of Justice order for the operation of the Correctional Institution for Women in Mindanao. A DOJ Order was signed by then Secretary of Justice Agnes Devanadera and the soft opening of the facility was carried out on March 6, in observance of the International Month for Women. It took a number of months thereafter before the first contingent of female prisoners (around 98 of them) serving time at CIW Mandaluyong would be listed and transferred. On September 18, 2007 the contingent arrived and on said date, the CIW Mindanao began its full operation. To date (September, 2012), the facility will be observing its 5th year anniversary and the female correctional facility through its disciplined ward has transformed the lowly abandoned prison ruins into a vibrant community where arts, education and culture predominate the disciplinary landscape of the camp. It has expanded its population from 98 to 250 female inmates, all coming from the 26 provinces comprising the six administrative regions in the whole Mindanao province. Note: The CIWM is a satellite prison facility under the supervision and direction of Davao Prison and Penal Farm administration pursuant to an administrative order issued by BuCor central office. Posted on September 6, 2012, in Uncategorized and tagged current-events, politics, travel. Bookmark the permalink. 1 Comment. Hello, you used to write great, but the last several posts have been kinda boringˇK I miss your tremendous writings. Past several posts are just a bit out of track! come on!